Police are appealing for information after thieves targeted a commercial premises in Newtownabbey on Friday. Detailing the incident, Detective Sergeant Wallace said: “We received the report of a theft from commercial premises in the Church Road area just after 3pm on April 12. “It was reported two males had entered the premises and made off on foot with a quantity of coats. A member of staff was threatened by one of the suspects who was armed with a knife. 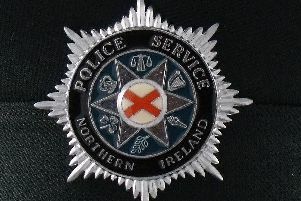 “It was reported the suspects subsequently fled in a black Saab Linear Sport that was parked nearby, and which was reported stolen from the Catherine Court area of Newtownabbey. Anyone with information is asked to call police on 101, quoting incident reference number 765 of 12/04/19. Information can also be provided anonymously to Crimestoppers on 0800555111.